Inspection: To Do or Not To Do? Automobiles are machines, with various moving parts. The interconnectedness of all those parts is equivalent to integral cogs in a wheel: you want all parts functioning well. A multi-point inspection is preventative care for your Ford car or truck. Our dealership has the best techs on-hand. In terms of service, care, and qualifications, our techs are all five star mechanic rockstars; they know what they’re doing, and your Ford car or truck is in the finest hands. Our techs will scrutinize parts of your car you’ve never seen, and ensure that everything is in tip-top shape. Anything not up to par will get a recommended course of action. Following the guidelines in your owner’s manual, as well as the advice of our amazing technicians, will ensure your vehicle is on the road for many years to come. What exactly are our techs inspecting? Essentially they’re inspecting various areas that are tantamount to your body’s vital organs. Fluids, tires, suspension, belts and hoses, and your vehicle’s drivetrain are checked during our multi-point inspection of your vehicle. Oil is checked for proper levels, as well as cleanliness. Some other fluids we check are coolant, transmission fluids, steering fluid, and even windshield washer fluid. Fluids help lubricate various systems, reducing friction, which equals to less wear and tear. Tires and suspension components are also checked. 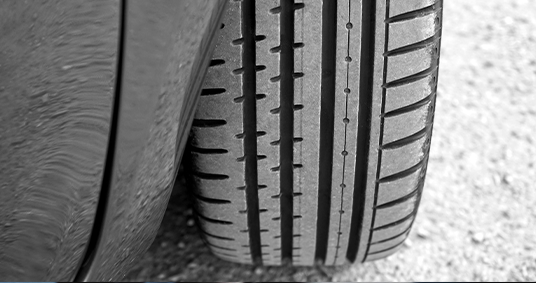 Tires are the first contact point your vehicle makes with the road, so we naturally verify that the wear is within compliant levels of safety. Of course, all of that bumps that your car takes are ultimately absorbed by your various suspension components. These components affect steering response, handling, and even comfort. This part of the multi-point inspection is especially important if your vehicle is getting higher in mileage, or if you purchased your vehicle used, as these parts tend to absorb less effectively over time. If you’ve ever opened your hood and seen belts whirling around like a ballerina performing pirouettes after drinking an industrial grade energy drink, then you’ve seen just how mesmerizing those belts can be. And just like a ballerina captivates an audience, so too do belts captivate various engine parts, capturing them in a motion that move various essential parts. And in likeness, hoses also bring a sense of focus to your vehicle’s various parts, as they (the hoses) direct the attention fluids and such to where they need to be. In kind, our qualified technicians will examine your vehicle’s drivetrain, and it’s all in an effort to keep you in a vehicle that runs optimally. Although our multi-point inspections revolve around certain systems, all parts of your vehicle are important. Rest assured, that even if it’s not on our multi-point inspection checklist, if our technicians see something that requires attention, you will know. 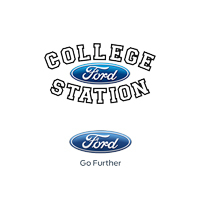 We at College Station Ford are your support during every step of your vehicle’s lifespan. If you bought from us, we want our technicians to be your go-to for all services, but if you bought from someone else, we want you to know that we are your one-stop shop for your vehicle’s maintenance and preventative care. Whether you live in College Station, Bryan, Navasota, Hearne, or Huntsville, our factory trained and certified technicians are here to make sure your car stays in pristine shape. We currently have “The Works” special for only $39.95 that includes a Synthetic Blend Oil Change, Filter Check, Vehicle Check-Up, Tire Rotation and Pressure Check, Brake & Multi Point Inspection, Battery Test, Fluid Top-Off, and Belts and Hoses Check. This special only last until December 31st, so be sure to call College Station Ford today to schedule your appointment!